This hub is full of helpful resources written by individuals, organisations and groups across Scotland working to improve Inclusive Design. 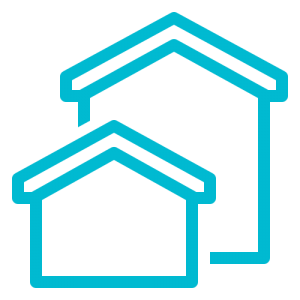 This guide has been compiled to provide housing information and advice for disabled people in housing need. The aim is to set out clearly the housing options and strategies that disabled people can use to obtain a house that meets their needs. Published by Capability Scotland and the Glasgow Centre for Inclusive Living (GCIL). Lifetime Homes are ordinary homes designed to incorporate 16 Design Criteria that can be universally applied to new homes at minimal cost. Criterion includes: Parking, Entrances, Circulation Space, Stairs/Lifts, Bathrooms. Published by Lifetimehomes. Good practice guidance on how to design homes that can be easily adapted for residents who are wheelchair users.